Easy peasy no crazy ingredient list pancakes! Blend all together and cook on medium as pancakes! 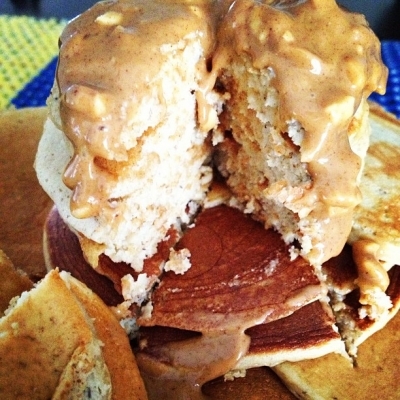 Topped with optional peanut butter!